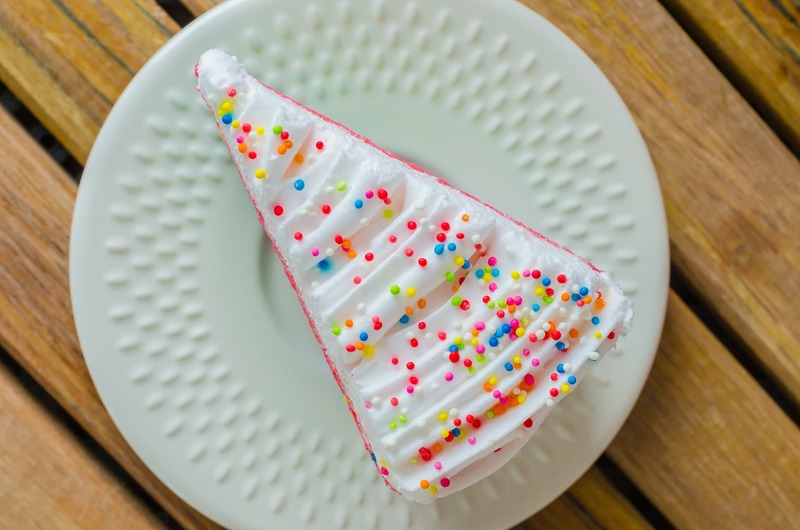 Kids’ birthday parties are a lot of work, and after hours spent sorting out food, activities, and decorations, dealing with party invitations can feel like one thing too many. 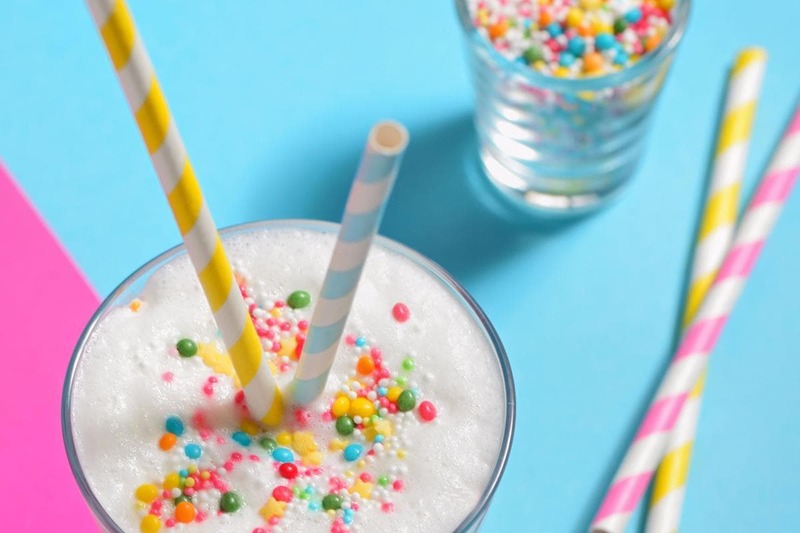 But, thanks to an explosion of websites dedicated to solving all your stationery needs, it’s now easier than ever to find the perfect themed invite for your kids’ parties. There are sites that specialize in e-invitations—digital-only invites—that let you easily see who has RSVPed and who hasn’t. Then there are the companies that focus on printed products, with personalized text and pre-addressed envelopes. This roundup of stylish options available in Canada is organized by whether or not they offer digital or physical invites (or both). And with a selection of low-cost and even free invitations, there’s something for every budget! These websites allow you to create your own invitations online, customize them, and in some cases address them. Then they’ll send you the paper invitations to send out, or you can download them and print them yourself. Don’t let the name fool you: the invites offered by this retailer are anything but basic. The dozens of kids-oriented default templates are already adorable, and you can also customize your own by choosing the card shape, paper stock, and text colours (from 180 colours) and fonts. The site also offers a free address collection service that lets you easily collect your guests’ mailing addresses via a dedicated webpage. 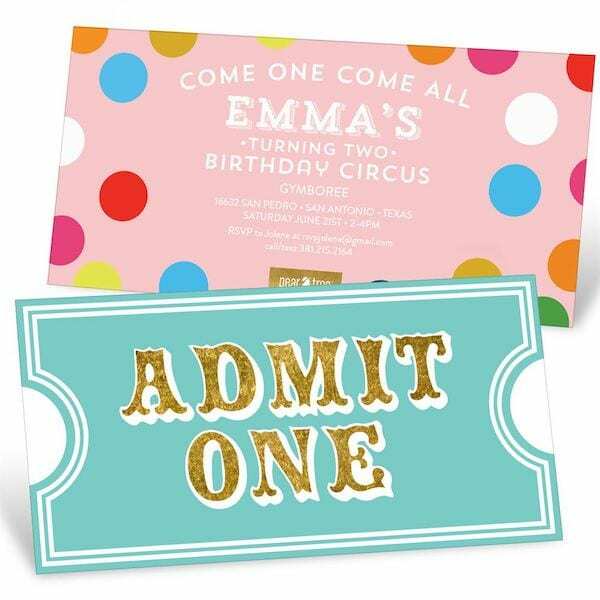 Those addresses are then printed directly onto your invites’ envelopes, saving you a step. Need your invites like, yesterday? Then this homegrown company is your answer. Because it prints in Canada, it can get you your invites within 48 hours. And because it’s Canadian, all prices are in Canadian dollars and you don’t have to worry about duty. It offers more than 350 different designs suitable for kids’ parties, including some that let you insert your child’s photo into the artwork. Feeling artistic? You can also design your own template. This company isn’t your cheapest option but has so many adorable cards it shouldn’t be overlooked. 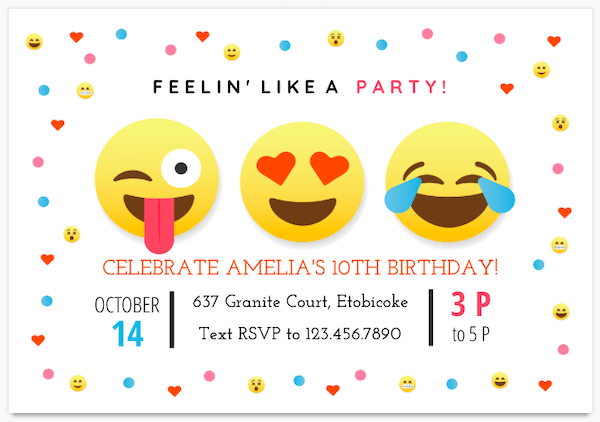 While you can go for a traditional rectangle or square-shaped invite, Pear Tree also gives you such options as a shark silhouette, sock monkey face, and horse head. Other templates let you insert your child’s photo into the design and all orders give you the option to pay for pre-addressed envelopes. And if you want to take your invite game up to the next level, you can also order coordinating thank-you cards. 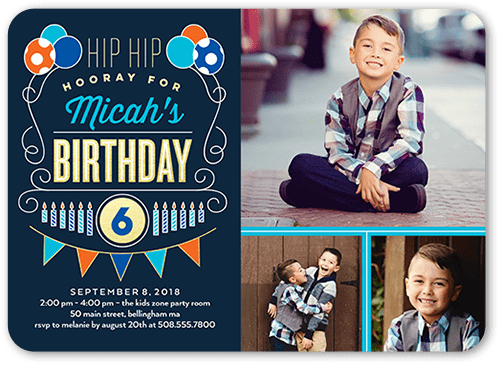 The company that countless parents turn to for personalized calendars and holiday cards is also a great choice for kids’ birthday invites. Shutterfly lets you import, as well as manually add, your guests’ mailing addresses. For an extra fee, you can not only have those addresses printed onto your invites’ envelopes but you can even have Shutterfly take care of stamping your invites and getting them in the mail. 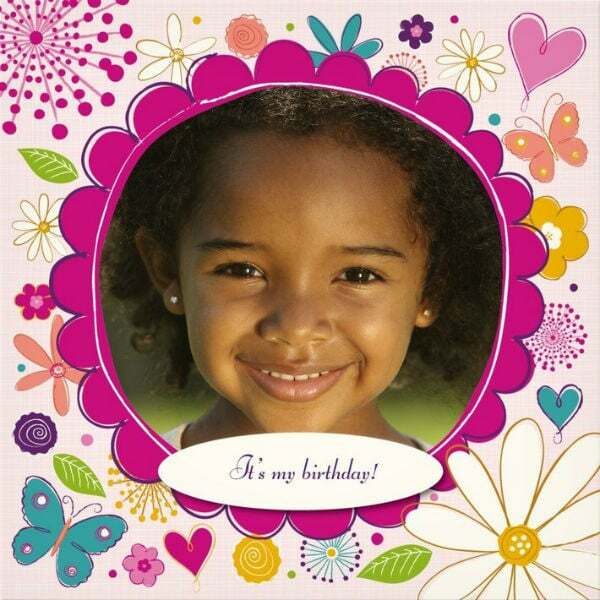 And because this is Shutterfly, all card designs can be personalized with your child’s photo. These digital-only companies offer custom email invitations in many styles. Evite is one of the web’s most popular sites for e-invitations for a very good reason: Its simple interface makes creating, sending and tracking virtual invites a breeze. While dozens of free template options are available, Evite also offers an annual subscription that will give you a year’s worth of fully customizable, ad-free cards. 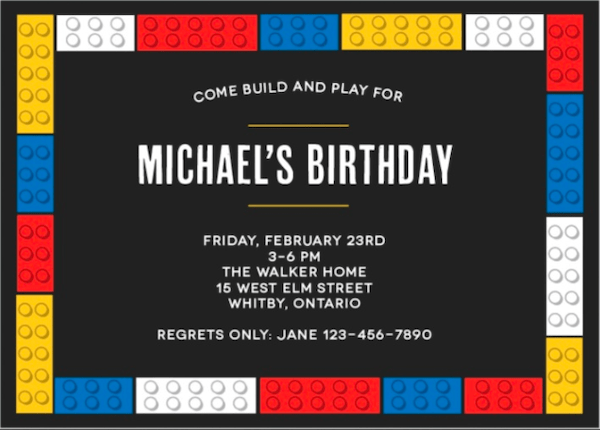 And with templates available for pretty much every occasion, you’ll likely use your Evite account for more than just kids’ birthday parties. With an affinity towards elegant and attractive artwork, Paperless Post is the go-to choice for discerning hosts. Its hundreds of kids-related designs cover everything from fire trucks to dinosaurs to even bowling. Both free and for-a-fee premium designs are available, with the latter offering options such as coordinated backdrops and virtual envelopes. Regardless of whether you pay or not, each occasion comes with its own tracking page that lets you see who has and hasn’t RSVPed yet. These companies give you the option: create invitations online then email them directly from the site or download and print your invites to mail or pass out in person. This company offers a clever—and best of all free—approach to invites. 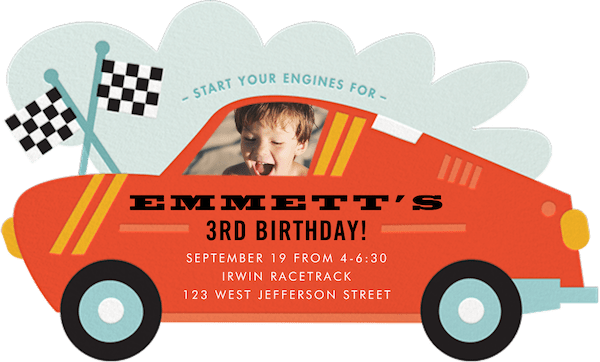 After you customize one of its dozens of kid-appropriate designs, you save your invite as a PDF. You can then share this file by email or you can download and print it in order to distribute it physically. This can be a great solution for inviting your kid’s classmates whose email addresses you don’t have. Love supporting independent artists and graphic designers? Then Minted might be the e-invitation site for you. Its beautifully designed cards eschew neon colour and licensed characters and instead go for a more tasteful aesthetic. They’re sure to grab your guests’ attention while you’ll appreciate tools like being able to send reminder emails. 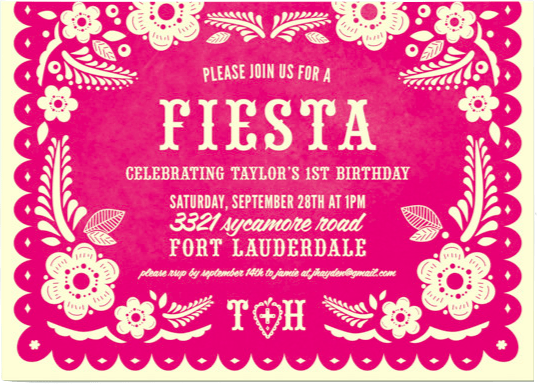 Most designs are available as both digital and physical invites and many also have the option to purchase matching party décor. Minted isn’t free, but you can usually track down a discount code.